The No 1 bestselling cookery book in Ireland - for two years running! 'These lovely boys always create incredibly tasty food.' Jamie OliverLet's face it: while we want to eat more fruit and veg and things we know are good for us, we sometimes fall short because we're not sure how to turn all that great produce into great food. Well, welcome to the Happy Pear way of eating - healthy but never worthy, easy but never dull, and packed with mind-blowing flavour, exciting texture and vibrant colour. 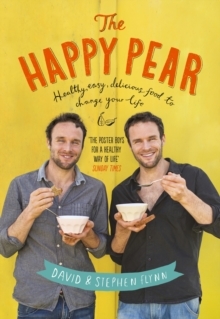 The Happy Pear opened ten years ago when twins David and Stephen Flynn, passionate about starting a food revolution in their home town, took over their local fruit and veg shop and later opened a cafe. 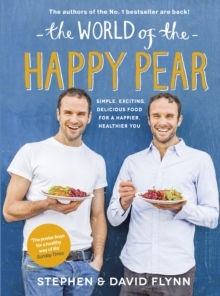 Their revolution has not only succeeded, but it is spreading, and The Happy Pear's fans range from young parents to pensioners, ladies-who-lunch to teens-on-the-run, hipsters to Hollywood stars. 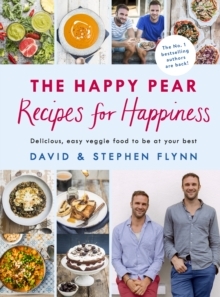 David and Stephen's first cookbook is full of irresistible recipes for everything from everyday breakfasts, lunches and dinners, to scrumptious - and yes, still wholesome! - cakes and sweet treats, to special occasion splurges.